In the present study, we demonstrated the anti-catabolic effects of formononetin, a phytoestrogen derived from herbal plants, against interleukin-1β (IL-1β)-induced severe catabolic effects in primary rat chondrocytes and articular cartilage. Formononetin did not affect the viability of primary rat chondrocytes in both short- (24 h) and long-term (21 days) treatment periods. Furthermore, formononetin effectively antagonized the IL-1β-induced catabolic effects including the decrease in proteoglycan content, suppression of pericellular matrix formation, and loss of proteoglycan through the decreased expression of cartilage-degrading enzymes like matrix metalloproteinase (MMP)-13, MMP-1, and MMP-3 in primary rat chondrocytes. Moreover, catabolic oxidative stress mediators like nitric oxide, inducible nitric oxide synthase, cyclooxygenase-2, and prostaglandin E2 were significantly downregulated by formononetin in primary rat chondrocytes treated with IL-1β. 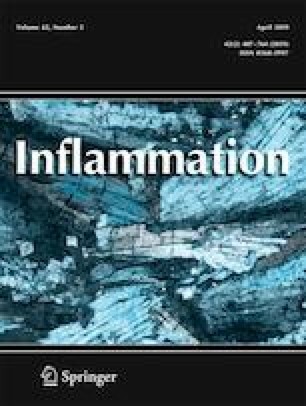 Sequentially, the upregulation of pro-inflammatory cytokines (like IL-1α, IL-1β, IL-6, and tumor necrosis factor α), chemokines (like fractalkine, monocyte chemoattractant protein-1, and macrophage inflammatory protein-3α), and vascular endothelial growth factor were significantly downregulated by formononetin in primary rat chondrocytes treated with IL-1β. These data suggest that formononetin may suppress IL-1β-induced severe catabolic effects and osteoarthritic condition. Furthermore, formononetin may be a promising candidate for the treatment and prevention of osteoarthritis. I.A.C, T.H.K., K.R.K, H.L., J.H.P., S.Y.L., and J.S.K. contributed to the experimental design and collected the data. C.S.K., D.K.K., H.K.K., S.K.Y., S.G.K., and J.S.K. contributed to the data analysis and interpretation. I.A.C., K.R.K., and J.S.K. did the writing article.